There is the latest addition to the star cast of Parchi, and this time, its none other than our very own internet sensation Faiza Saleem; a woman we now relate to being synonymous with comedy and satire. 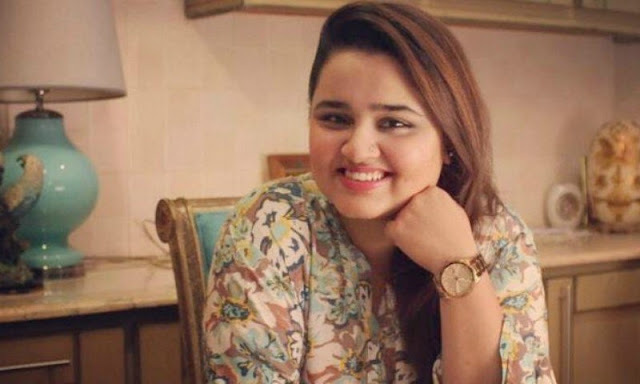 Faiza Saleem had been making quite some waves recently with her initiatives Auratnaak and Khawatoons, albeit only on social media. However, this cool comedy star has now decided to show the world what she's got and is all set to take her talented skills to the silver screen. And since she had decided, Faiza couldn't and didn't say no to the upcoming cinematic venture that's being put together by Azfar Jafri, Imran Kazmi and Hareem Farooq, the same team that churned out Janaan, a blockbuster hit. Hareem Farooq, Ali Rehman Khan, Usman Mukhtar and Ahmed Ali will be playing lead roles, and Faiza has a cameo, yet a meaty one. So here's Faiza Saleem for you guys, telling us about Parchi, her experience with the team and of course what's next for this young soul. Faiza told HIP that she opted for Parchi just because the team behind it was not only reliable but one that believes in quality content only. "The team and the feel of the film are two primary things that I really liked about Parchi. And so it happened." Talking about her experience while shooting for the film's spell in Islamabad, Faiza added,"The entire experience has been very different. Fun but very challenging. There was this hour of waiting to say one line on-screen. But in the end, it really makes you value the work of those who have been doing films for so long." Sharing about her days shooting with the team in Islamabad, Faiza did share how the team hung together after the shooting was wrapped up. The comic star also narrated a memory telling us how she had cut her finger during the shoot, making sure the film received her sweat and blood. "First day on set I was handed over a butcher knife for a scene. Two minutes later I had to slit my thumb with it and blood was gushing out. That was extremely embarrassing but everyone came rushing to help, especially Hareem." On the professional front, this lawyer turned cool comedy star and now an actor in the making is swamped with live shows. The lady also has a television drama lined up and we're eager to see how she'll star in that one as Faiza believes in pushing her boundaries with every role that she's going to be taking up from now onwards.